The Food and Drugs Authority (FDA) has warned the public to desist from using bleaching creams. According to them, they have not approved any cream. Speaking in an interview With Adom FM, The Head of Cosmetics at FDA, Emmanuel Nkrumah, advised the youth to stop using any concoction meant for lips bleaching. 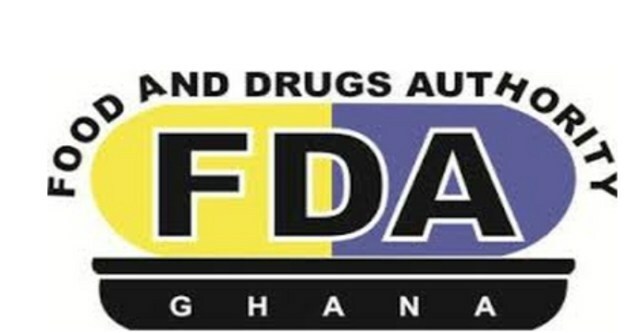 The Food and Drugs Authority’s response was on the heels of Basic and Senior High School pupils and students at Komenda-Edina-Eguafo-Abirem (KEEA) in the Central Region, using chemical concoction for lip-bleaching. It has emerged that “conshore”, a term used for the mixture of toothpaste, bleaching cream and sometimes Ghanaian local alcohol popularly known as “akpeteshie”, is the formula used by the people who engage in this lip-bleaching exercise. Report says the pupils, both boys and girls, usually apply the mixture to give their lips either pinkish or reddish looks. Mr Emmanuel Nkrumah said they were working with the security agencies to arrest those who sell any such chemical concoctions even on social media because it was illegal to do so.